This has been a tricky problem for years as explained below, and now appears to have been resolved. But whether that’s the end of the story remains to be seen. Saturn’s distinctive rings were observed in unprecedented detail by NASA’s Cassini spacecraft, and scientists have now used those observations to probe the interior of the giant planet and obtain the first precise determination of its rotation rate, reports Phys.org. 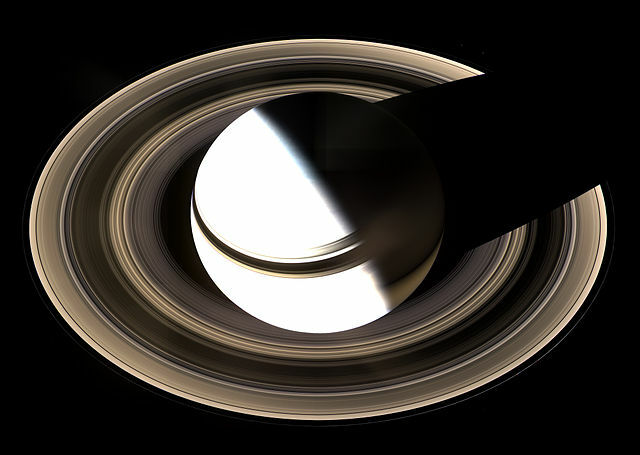 Most of the waves observed in Saturn’s rings are due to the gravitational effects of the moons orbiting outside the rings, said coauthor Jonathan Fortney, professor of astronomy and astrophysics at UC Santa Cruz. “But some of the features in the rings are due to the oscillations of the planet itself, and we can use those to understand the planet’s internal oscillations and internal structure,” he said.